PSCo has announced its entry into the LED display market by unveiling a range of ultra-high resolution, exceptional performance LED models on Stand S40 at PLASA 2013, ExCeL London, October 6-9, on stand S40. Handpicked for the PSCo portfolio following extensive research and testing, these innovative new additions mark the launch of "The PSCo LED Experience" – bringing LED to channel partners in the UK with trusted support services and expert assistance. PSCo will be offering PLASA visitors an exclusive preview of the new 1.9mm, 2.5mm and 3.75mm LED displays in an enclosed viewing area on the stand. PSCo is the only UK Company able to offer these products, with the 1.9mm and 3.75mm available now for live events from PSCo Rental and the 1.9mm, 2.5mm and 3.75mm exclusively available from PSCo Technical Distribution for permanent installations. After showcasing at PLASA, all three products will be available for preview at the PSCo Assessment Centre, alongside the largest portfolio of videowall and large format display technology currently installed. Stuart Holmes, PSCo’s CEO, commented: "We are extremely proud and excited to launch super high resolution LED displays. After meetings with Chinese, Korean and Japanese manufacturers, evaluating different products and running quality tests to determine the best solutions for both our rental and system integration partners and target markets, it’s really exciting to finally announce The PSCo LED Experience at PLASA. "We recognised the enormous potential for LED displays a long time ago, and have invested significant resources into continuing to find the latest and most innovative technologies. We have a new team of specialists on board with a collective 30 years+ experience in the LED industry to ensure we continue to support our channel partners with this new technology." The PSCo LED Experience represents a significant evolution of the PSCo product road-map. It also demonstrates the company’s forward thinking approach to introducing the latest technologies to channel partners, after being the first to bring plasma and LCD videowall products to the UK. By spending time out in Asia researching and selecting the highest quality professional LED displays for its portfolio, PSCo is removing the risk element for its customers ensuring all products supplied can be technically supported throughout the project and for years after. 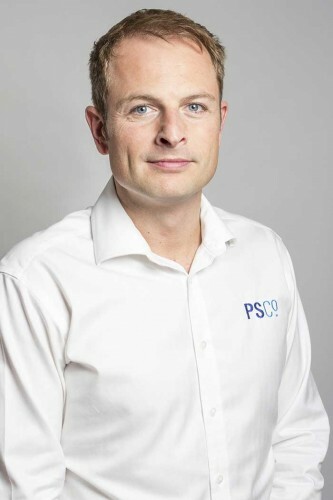 Partners can view the products in the UK and take advantage of the wealth of experience within PSCo to ensure they choose the right product and are equipped with the right skills to make their individual project a success. Full technical assistance and assurance services include pre-sales advice all the way through to enhanced after-sales care, which extends further than all manufacturer warranties.